My, oh my, how time flies . . . it’s another Sunday. And, it’s a holiday weekend. Being retired means I no longer keep track of many holidays. For us, the passage of time is marked by the days we don’t go to the gym (Wednesdays and Sundays). This Sunday (today if you’re reading on the day it’s been published) we’ll likely stroll down to the bay and watch a few of the outrigger canoe races. We didn’t last year but we did attend two years ago. The weather is supposed to be nice and if we go early enough the sun and resulting heat index might be bearable. Also, I’ll be using the P900 so it will be another chance to see how it performs as a replacement for the Big Rig. If you want to read about that canoe, click HERE. I’m often tempted — when asked where I get my morals, my ethics, and my philosophy in life — to mimic Mr. Boffo . . .
Of course, I’m not sure how many people would be familiar with the teaching of The Moose. Anyway, since it is a holiday weekend . . . The Holiday Face. I know, I know . . . it don’t look much like a face. I kind of panicked during the naming stage. Retirement – Every day is a holiday with a pay cheque every month. Brilliant, I love it! Hope it’s a great Sunday for you and Melisa! Beautiful day here…we’ve been out and about, but it’s supposed to rain any minute now. So we will enjoy the evening at home. 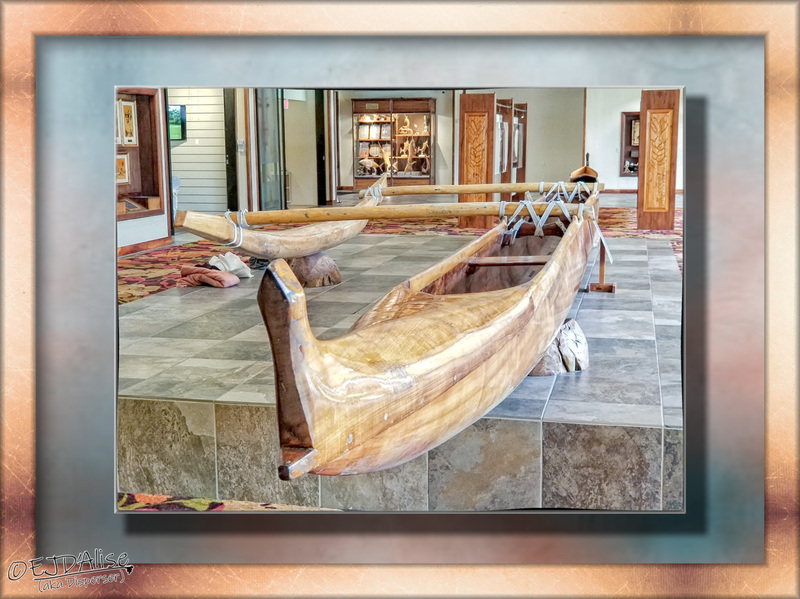 PHOTO: The canoe is a work of art! DOODLE: I can see the eyes, nose, mouth…the thing on the left might be an ear. We opted to pass on the canoe races and just enjoy a day with our respective hobbies (and food). What a beautiful looking canoe! It is. I have other photos of it and I should perhaps include them in a future post (can’t very well include them in a past post because no one will go back to look at them). Did you read the plaque? Yes. But it saddens me when they start making things out of plastic or fibre glass or whatever they made to make it lighter instead of using such beautiful timber. That beautiful timber is Koa wood and it’s now protected because it was overharvested and overused and few groves remain. There are still artisans that make pieces with it but you’re taking $35,000 for a table . . . And the chairs are extra. 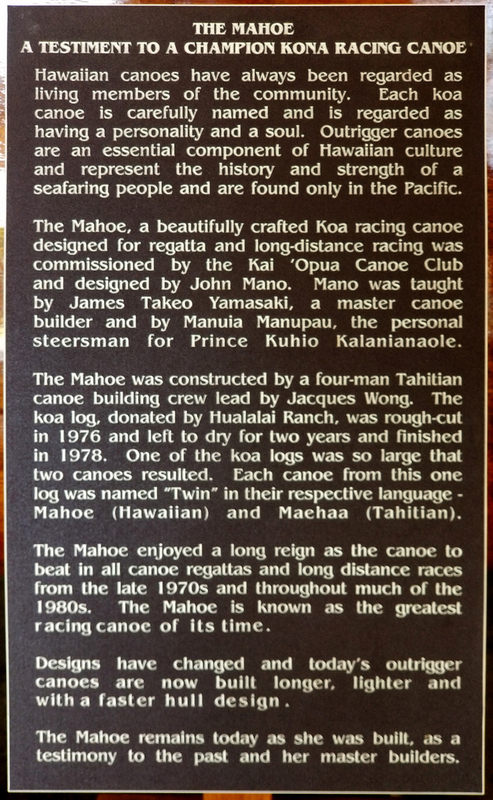 I doubt anyone would build a canoe out of Koa but they do still make them out of other wood. I’m glad they still make them out of wood. But as an old timber nut I was seriously impressed by that timber. A friend of mine used to have a guitar made with Koa but that was a while ago. Can’t promise anything because I have so many photos to share but I’ll keep it in mind. You’ve hit the bullseye with that canoe photo and frame!